When it is required to have more than one wordpress installations it can get little tricky. There are multiple way to do that. Do multiple independent wordpress installations with independent databases and in separate directories but with same domain. Do multiple independent wordpress installations with independent databases with different subdomains. Do WordPress multisite network installation with same database. It can be with different subdomains or same domain with different directories. Multisite network installation uses http://yoursite.com/blog as prefix in permlinks for your main site to avoid namespace issues. This does not look very neat. So in some ways it keeps both instances pretty separate. It also uses different tables for storage for various instances. Multisite network’s main advantage seems to user management as you don’t need to add users to multiple wordpress instances. You can manage them centrally. 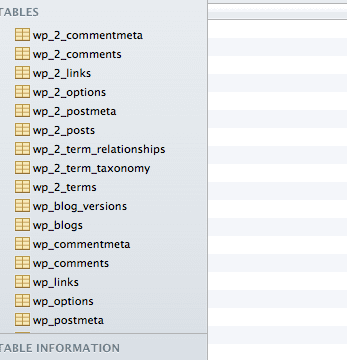 WordPress seems to be supporting plugins applicable to all sites as well as plugins for individual sites. I suspect it can lead to maintenance complexities. I did not really find any significant benefit in multisite network installation for maintaining few sites. With independent installations approach maintenance may be easier. Moreover if one site is down for some reason, other may still be up. Overall I think it may be better to go with independent installation approach if number of sites is small. If you are managing a large number of sites, then the answer may be different.